4. 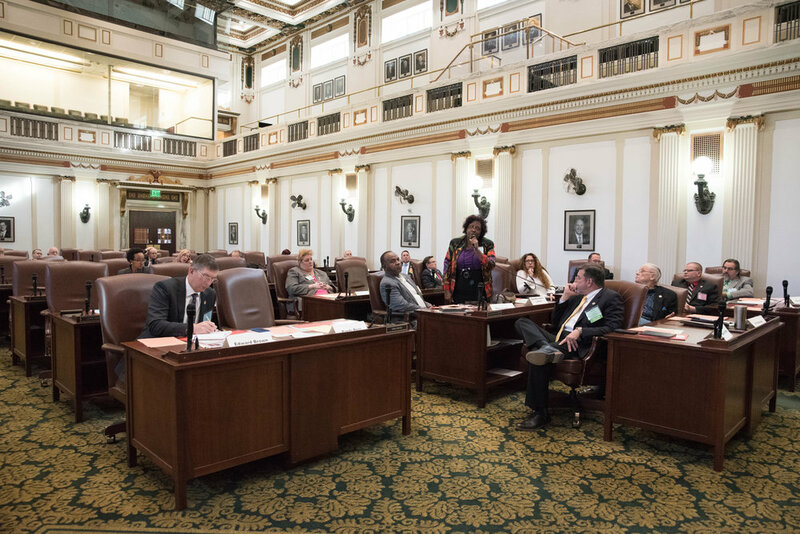 Recognition of the importance of public service provided by the Oklahoma Mayors through the Mayor of the Year award that honors not only the nominated Mayors, but also dedicated Mayors across Oklahoma and the Certified Mayors Program. The 2018 membership drive for the Mayors Council of Oklahoma (MCO) is underway. At the municipal level of government, we are constantly under attack from many fronts. We face increasing demands from our constituents for more services, better roads, water quality, police and fire protection, quality of life, while at the same time trying to balance our budgets with continual erosion of our revenue stream. Our State government is reluctant to return much, if any, of the tax money that we send to the Capitol and even goes as far as to further erode revenues by increasing the number of special interest tax exemptions. MCO and OML provide our best chance to level the playing field by using our collective voices to be heard by the state legislature. None of this can happen without YOU! Your support and participation are needed. Also, have you have ever felt all alone with nowhere to go for answers to your municipal government problems? We have those answers for you. Not only will you be able to educate yourself to do a better job, you will have the opportunity to network with your own peers, which can shorten the learning curve in one of the most demanding jobs in the State. As you all know, there is no course or class to teach you how to be a Mayor, but by joining this powerful network of resources, you will have a better chance of solving the most challenging of problems and issues.